Join over 50 volunteers in a range of exciting and career-enhancing ways to become active in COE and to make a difference across the organization. Get involved! Get experience! If you are interested in volunteering within one of the current communities or filling one of the open positions, please contact COE Headquarters via email at coe@coe.org or by phone at (312) 321-5153. You can also submit your interest via a form sent directly to COE Headquarters. Educational content for COE's Annual Experience Conference and Year-Round deliverables is gathered and inspired through the Product and Process Committee members and the Divisions that oversee them. Collect case studies, resource pieces, lessons learned, best practices, and package content for delivery through COE's Annual Experience, Ask the Experts Webinars, and on-line portal. Content is categorized by COE's Community Divisions. The Conference Planning Committee's charge is to work closely with the Product and Process Committees to coordinate programming and social activities to achieve the conferences metrics for success. The Committee adds additional elements to COE's Annual Experience to improve networking and overall attendee experience. Work with various subommittees on specific tasks: Mobile App, Hardware Support for Hands on Training, 3DDerby Competition, Educational Tours and more. The COE Academic & Certification Committee provides a forum for Dassault Systèmes users from schools and universities to organize as one voice to Dassault Systèmes on product development and service topics, network to develop relationships that help you both personally and professionally, as well as learning from shared experiences. Join the COE Membership & Marketing Committee, which needs volunteers to help spread the word about COE and build your association’s membership rolls. Any and all aspects of membership development are open to your talents, interests, and contributions. As a committee member, you could assist in headquarters staff in their communications, social media, COE booth at conferences, review draft promotional copy and brochure designs. Read a full description of duties involved in the membership and marketing committee. 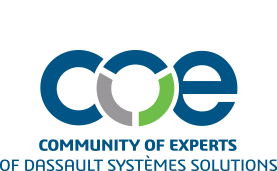 Oversee the development of the program that gives COE members invaluable hands-on experience with the latest 3DEXPERIENCE release and feedback to Dassault Systèmes. The committee collects input from members on topics for the next panel(s), recruits panels, sets up the parameters for the panels and collects their insights to share with COE members. Creates a forum for communication between partners of Dassualt Systèmes and COE to enhance their membership value by finding ways to maximize their return on investment, and allow vendors/sponsors to communicate ideas and issues with the COE members who can take action and make improvements. COE membership will benefit through visibility of new products, services and education offered by knowledgeable vendor representatives. Participate with six other user members to help solicit and vet potential Board of Directors and Committee volunteers. Nominate yourself as a Board or Committee candidate or solicit fellow members as candidates. You can submit your interest via a form sent directly to COE Headquarters. Not much time to spare, consider these easy ways to contribute your thought leadership! Provoke thought, solicit suggestions, and encourage discussion of the hottest topics in communications for our on-line communities of interest. Check out all open volunteer positions here! If you are interested in learning more about one of the positions listed above or about signing up for a position, please CLICK HERE TO VOLUNTEER. Submit your name and area of interest, and COE Headquarters will contact you with more information. Who Are the Current COE Volunteers? Click here for a link to the list of the current COE volunteers.